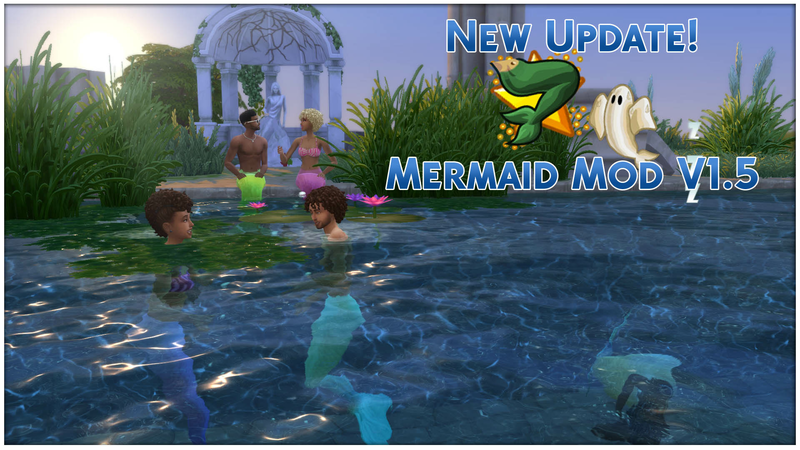 - Replaced the animation and the effects when changing the color of a mermaid's scales. - Fixed a string in the "Dehydrated" buff and added some steam effect to the scales when mermaids have extremely low Hydration. - Improved the "Siren song" interaction by replacing the animation with a better one and replacing some visual effects. - When a mermaid sings, the targets affected will have immediate romantic relationship with the mermaid. 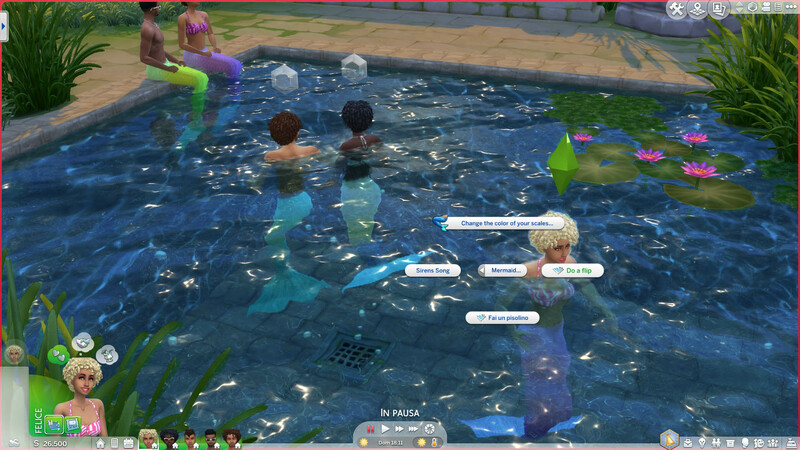 The affected sims are also based of the gender preference the mermaid has, so If a merman likes females, only that gender will be affected. - Vampires will not be affected by a mermaid's voice anymore. 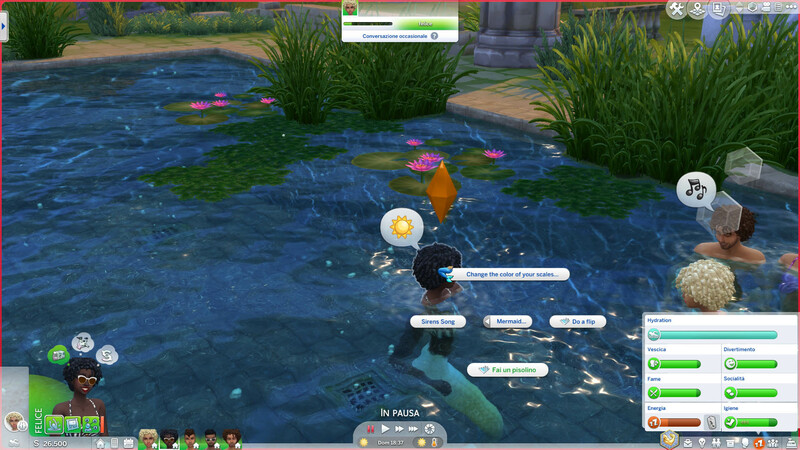 - Mermaids now seem to live longer than human sims. Do a flip: The mermaid will simply flip underwater, raising their fun need. Have a nap: The mermaid will go underwater and sleep for 1/2 hours. These interactions will be performed autonomously when theyâ€™re having low energy/fun. - Added new ways to increase hydration (Ex. using a bubble bottle from Jungle Adventure or the kiddie pool from Seasons). - Updated the statue's texture, but it will change again in the future. - Added a new social interaction: Compliment Scales. It can be performed by two mermaids talking. Any other mod that alters this interaction will conflict! 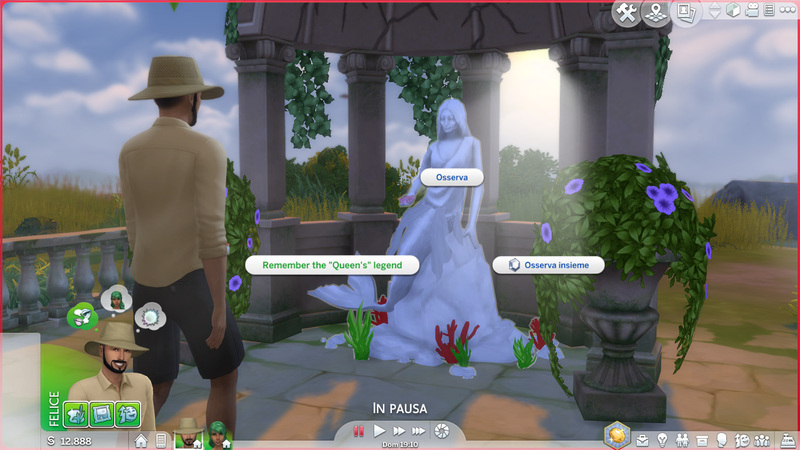 METHOD FOR WHO HAS PROBLEMS WITH THE STATUE: SINCE THE STATUE DOESNâ€™T WORK PROPERLY FOR YOU, FOR NOW USE THIS CHEAT TO BECOME A MERMAID: traits.equip_trait Mermaid. 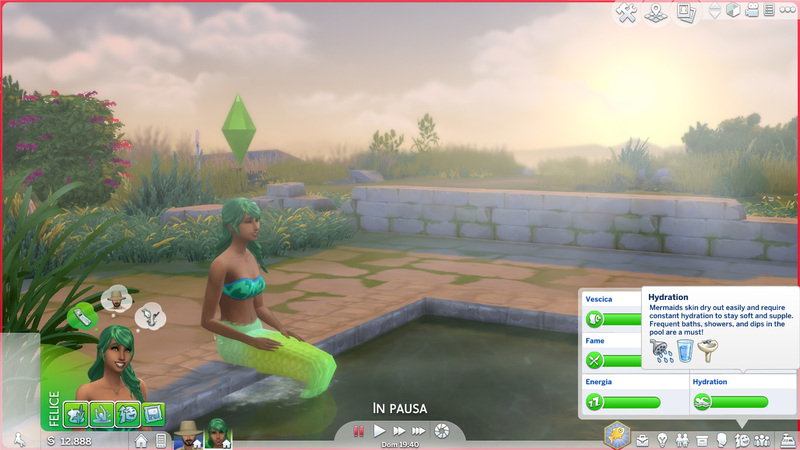 AS FOR THE SCALES , SELECT YOUR SIM, GO TO â€œMermaidâ€� then â€œChange the color of your scalesâ€� and select a color. 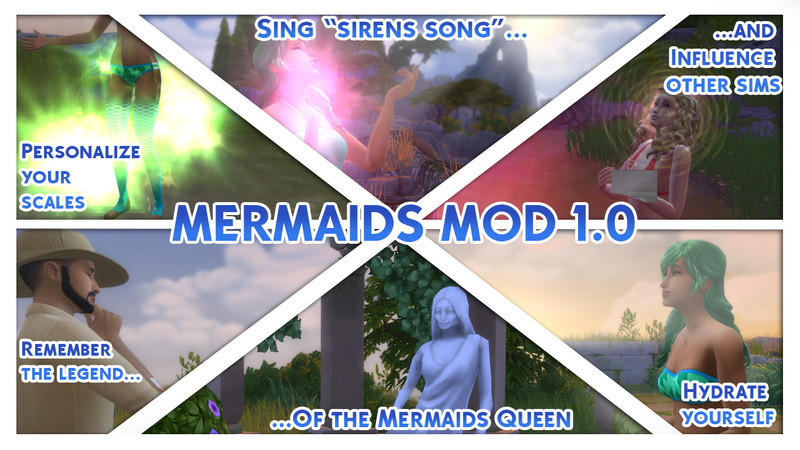 After sweat, pain and tears used to create this mod, I'm excited to announce the new mermaid lifestate! - Now you're wondering "Why do I have to remember a legend to become a mermaid", and the answer is in the description of the object, where a legend is written. 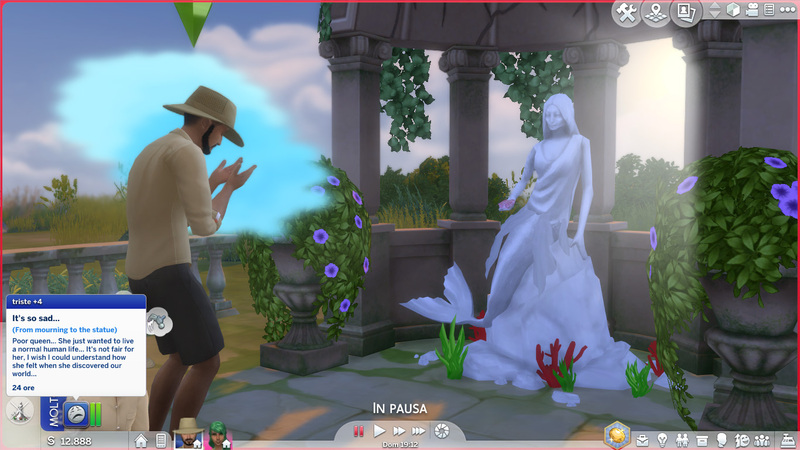 = The second and last buff is "Dehydrated" (+50 uncomfortable), where the sim will almost nearly die. They will have a "very dried" skin and will be unable to use the pool. 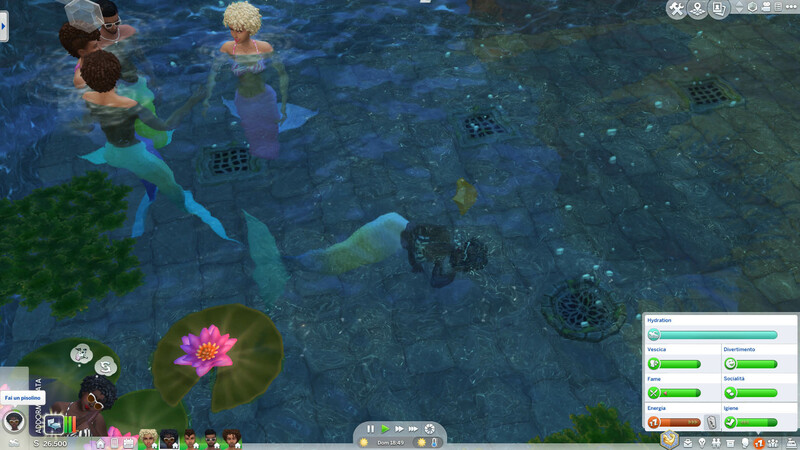 - Mermaids have wonderful and mythical voices, so they won't talk like normal sims. 653 people have said thanks to Nyx for this download.